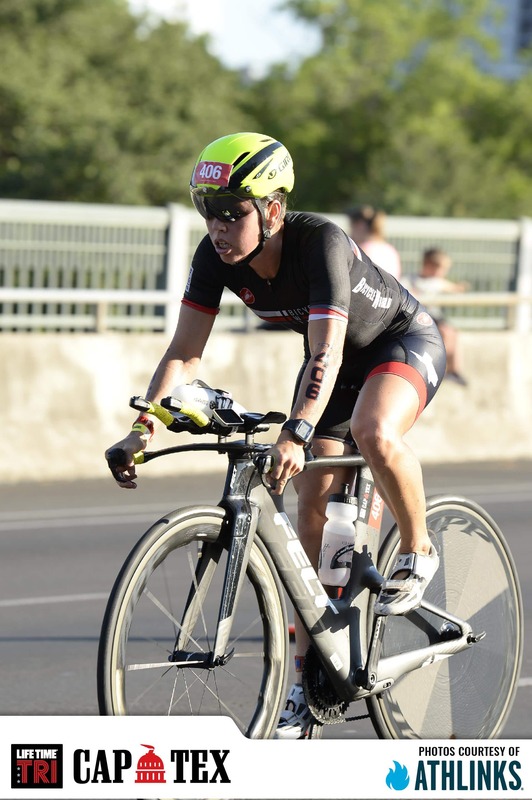 One of our EBOOST Ambassadors, Natasha Van Der Merwe took home a gold medal in Texas winning the Life Time Tri CapTex 2018. She came in first place in the women’s category and ranked 8th overall, including men and women. Wow, what an awesome accomplishment. We are so proud of Natasha and could not wait to sit down with her to hear how it all went. 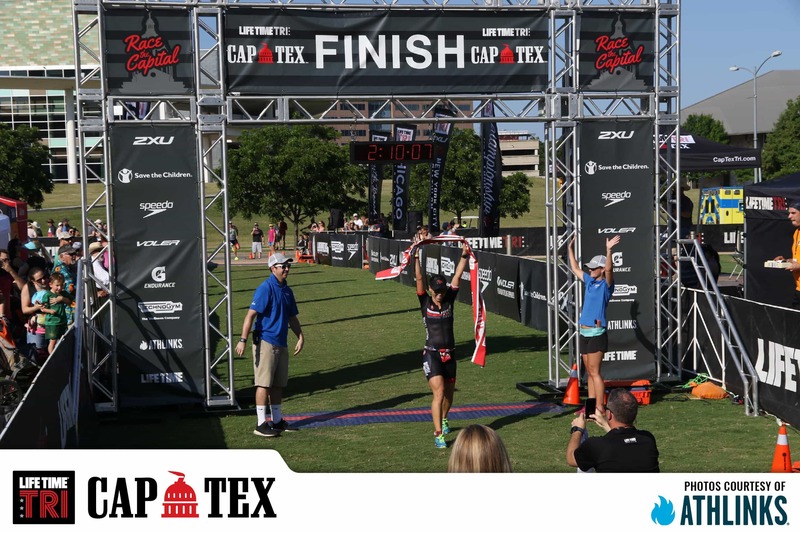 Read on to learn more about what Natasha’s training was like, how the race went overall, and how it feels like to win! How much time did you devote to prepare for this race? My preparation is honestly 24/7/365. If I am not training, I am focusing on recovery and how to be well prepared for my next session. Which means I have to make sure I nail my daily nutrition, get enough sleep, add recovery protocols like regular visits to my chiropractor and massage therapist, you name it. As for actual, swim, bike, run and strength training – On average my weeks vary between 20-25 hours a week of training. If I was training for an Ironman, it would be more, but currently focused on 70.3 distance races. This means that there is a lot of intensity in my weekly sessions, which allowed me to race Cap Tex Tri, which is a shorter Olympic distance race, well. Were there any challenges that you faced during the race? The biggest challenge on this course is the number of athletes on the bike course. Its a 4 loop course winding through downtown, with a few 180-degree turns. It makes for a spectator friendly course but as a racer, you definitely have to keep your head up and be very vocal when passing others. The other challenge was the heat. Being summer and in Texas, by the time you get to the run it was in the high 80’s, low 90’s, with very high humidity, so you really have to stay on top of hydration throughout the run and adjust your pacing accordingly. Can you describe the training process leading up to the event? A typical week is around 20-25 hours of training and I follow the same weekly layout of swim, bike, and run, week in and out. Just the specifics of the workouts change. Approximately how many races have you done? How did this race compare to the rest? I have done this particular race 8 times over the years. I have placed 2nd and 3rd before but this is my first time to win it. As far as how many triathlon’s totals – I have honestly lost count. I have been racing for 10 years now and on average I will race anywhere from 6 to 15 races depending on the year. Did you follow a strict diet? If so can you describe? I worked with a nutritionist, Kim Eagle, to help shed the baby weight ( i have a 21-month-old) and what she taught me worked so well I have just continued to follow her rules. Before working with her I was actually under fueling, so my focus has actually been on making sure I eat enough to support my training. Essentially we try to eat a very clean and balanced diet focused on balancing my macro’s depending on the training day. That means I track my food on an app. For example, most days I have the standard 30 % fat and protein and 40% carbs, but on big days my carbs go up. Outside of that, I am watching my sugar and sodium outside of training so that those numbers do not go too high. Thick and Juicy Burger with avocado and grilled mushroom and sweet potato fries. Kombucha to drink. Are there any techniques or practices you do to train your mind? I use every training session as an opportunity to train my mind. The biggest thing I have been working on is just learning to stay present through everything that I do, and create a calmness and stillness within myself. It’s extremely easy for my mind to wander or to have negative self-talk sneak up on you when things start to get uncomfortable. So learning how to counter those thoughts and quiet the mind, requires as much focus and effort as the actual training. I always say take it if you feel you need it. I feel like rest days are more needed for that mental break than an actual physical break and I will respect that when the time comes to need that mental break. I love what I do so much that that day doesn’t come often. Personally, I gain more in physical and mental recovery from an active recovery day – meaning a super easy swim, bike or run vs taking the day completely off. It allows me to keep training momentum, daily routine and I feel my body recovers better from that light movement vs nothing at all. Word of advice for someone who is thinking about doing their first triathlon? 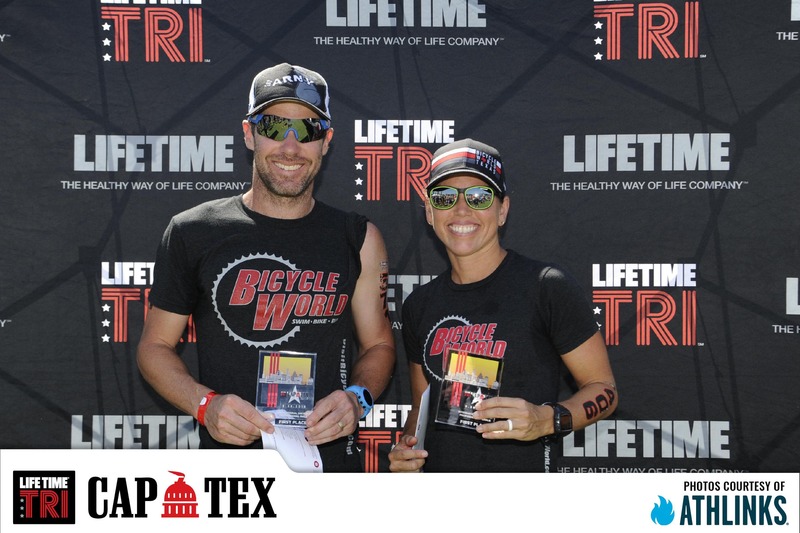 Go to your local bike store who can point you in the right direction of what is going on in your area, or look up local triathlon teams, so that you can get plugged into the community. Once you are in it, it will be the best decision of your life. Everyone loves the sport and wants to share it so any triathlete you will ever meet will be willing to take you under their wing and help advise you in training for your first race. Or do what I did, get entered in your first race, which will then force you to do the training. Last but not least, why do you do these races? At first, it was just purely because it gave me the motivation to take care of myself through healthy eating and working out daily. It also gave me a bigger purpose to workout vs just trying to feel or look good. After doing that first race, it becomes so much more. You get hooked into trying to just be better. What is appealing to most is that trying to master 3 different sports and then put it all together in one event, and across different distance races, is so difficult that it always keeps you coming back for more as there is always something to improve upon. Its extremely rare to have the perfect race where the swim, bike and run and your mental headspace throughout the race was exactly as you hoped, so I feel like you are always chasing that perfect race and finding the best out of yourself. To find out what Natasha is up to next, follow along with her on her journey on her Instagram.